Toronto, ON October 8, 2008 – An international survey on hygiene practices has shown that for the third consecutive year, Canada tops the charts when it comes to knowing the importance of infection prevention. Nine out of 10 Canadians (90%) believe “washing hands regularly” is the most effective way to help protect against catching the flu – more than any other country surveyed and well ahead of Germany who ranked second in this area with 66 per cent. That being said, there is a gap between knowing and doing. Canadians know how to protect themselves and stay healthy, but are not following through with action. Only four in ten (37%) Canadians claim their children always wash their hands before eating and a similar amount said that they did so ‘most’ of the time (44%) . This is compared to countries such as Malaysia (80%), India (79%) and Italy (76%) in terms of always washing before eating. If Canadian children are not following simple handwashing basics, it is alarming to consider which other health and hygiene practices may be neglected. As cold and flu season approaches, Canadians need not only be aware of the health threats that have the potential to impact their families, but also how to prepare and protect themselves. 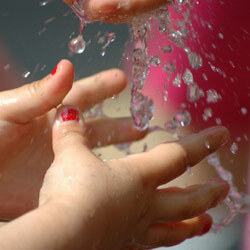 It is especially important to model and teach the basics of handwashing. To address this need and other health and hygiene needs across the country, Reckitt Benckiser, the makers of Lysol brand products, has provided an educational grant to the newly established Health & Hygiene Council , Canada (HHCC). The aim of the Health & Hygiene Council is to revisit current hygiene practices, identify health and hygiene gaps across the country, offer realistic recommendations to the public around the importance of health and hygiene in the home and community and identify programs and/or solutions that might help fill the gaps identified. The HHCC brings together leading experts in the field of microbiology, virology, paediatrics, infectious disease, public health and education. It is chaired by Dr. Donald Low, Microbiologist-in-Chief at Toronto Medical Laboratories/Mount Sinai Hospital, and has representatives from British Columbia, Saskatchewan, Ontario, Quebec and Nova Scotia. The inaugural meeting took place June 25, 2008 in Toronto. According to the HHCC, hygiene standards are different across age groups, provinces and organizations. As a result, many hygiene issues are being under-prioritized. Hand-washing and surface disinfection are two issues that are currently neglected by community leaders and care providers, along with food safety, immunization and proper use of antibiotics. Further, their enormous importance in the prevention and reduction of diseases such as diarrhea and acute respiratory infections is not being effectively communicated and/or understood. Since children are a sensitive portion of the population, hygiene standards for daycares and elementary schools were highlighted as a focus for the Council in 2008/2009. Lessons learned by children at school are often adopted into the household. A ‘State of the nation’ hygiene study focusing on health and hygiene practices and gaps in daycares and elementary schools. The importance of simple health and hygiene practices cannot be over-emphasized. For this reason, the Council has developed top-line recommendations for Canadians to follow. Simple measures such as increasing the frequency and efficiency of hand washing and surface disinfection where food is prepared will undoubtedly improve standards of home hygiene, and ameliorate levels of contamination. This is particularly essential in homes with children. The vast majority of food-borne illnesses occur because food was not handled or cooked properly and 80% of the cases happen in the home? Public health experts estimate that there are 11 to 13 million cases of food-borne illness in Canada every year.